When I was inspired to build the Black Mage from Final Fantasy, I wasn’t content to stop there. As any fan of the classic NES RPG knows, the power comes from the party and not the individual character. With that knowledge, it was obvious that the Black Mage would need support from the White Mage. Since I wanted to match the mages, I used the same technique to hang bricks using two pins. For the front of the cloak, I was able to hang a row of black 1 x 2 bricks from the pinned brick. I considered using the rounded pieces I used for the tan in Mario and Link, but decided against it because of the need to put pins in the third creation (see the next post to see what that one is), so went with a flat tan look to match the look fo the sprite. 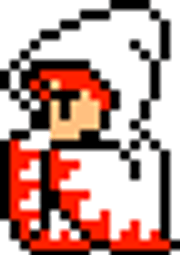 Like the Black Mage, I have decided to make a limited number of White Mages available in my Etsy store. 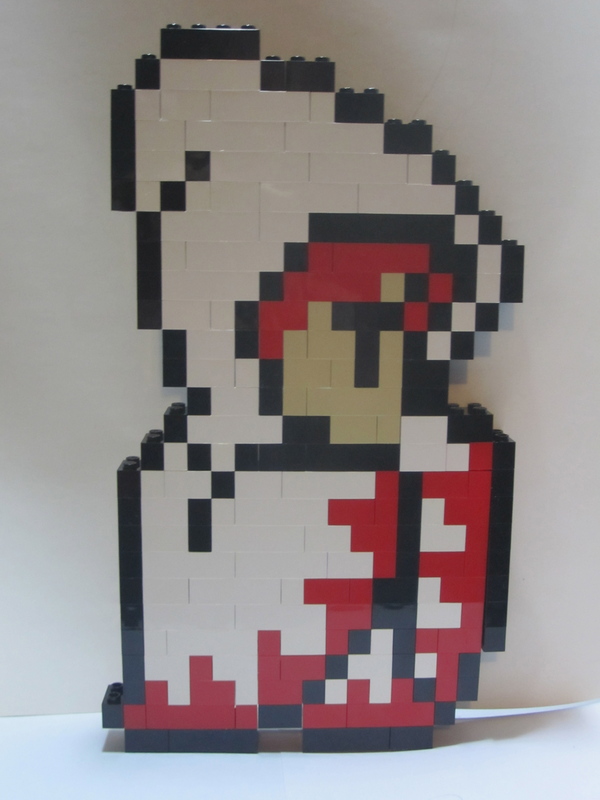 If you’re a fan of Final Fantasy and LEGO, you can pick one up right here in my Etsy store. And if you’d like to see me create any other characters or have something special built for you, contact me.